Cursed with a tiny bedroom? Try one of these five simple, space-smart solutions to help you make the most of limited square footage. Although property assessors define a bedroom as having a door and a window and a closet, it’s not so stupendously rare for sleeping quarters to lack closet space. Even more common are small bedrooms equipped with correspondingly teensy closets. No matter the frustrating details of your situation, the problem is simply that people often need more things than they can conveniently fit in their bedrooms. The good news is that countless DIY projects exist to help you pack more into fewer square feet. Here, we’ve included five great ideas for small bedrooms that, within a weekend, you can make into realities. Where floor space is limited (and ceilings are not prohibitively low slung), the key to solving your storage woes may be to make the most of vertical space—in other words, build up rather than out. 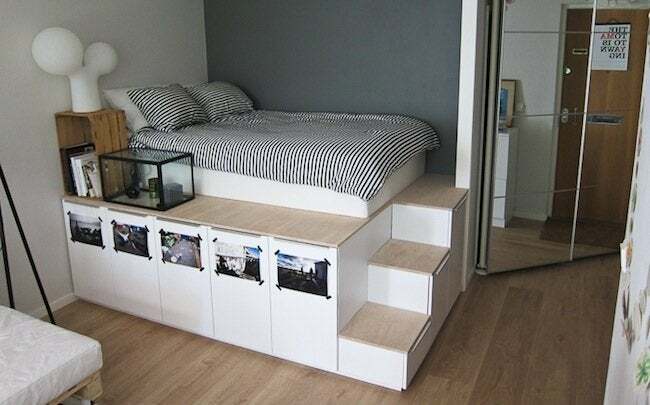 In this storage platform bed, generously sized drawers sit under the mattress, while the wide platform serves as a nightstand. In a small bedroom, every inch counts. 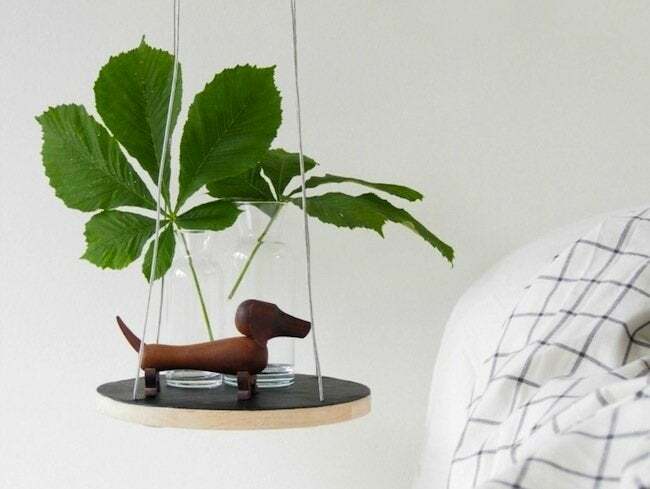 So instead of a four-legged, space-hogging bedside table, opt for a solution like this quirky setup, which relies on repurposed luggage. 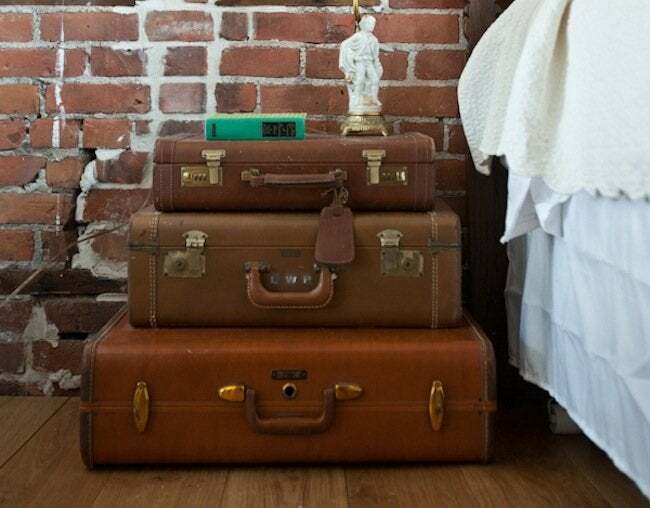 This option requires zero labor (beyond a visit to the thrift store), and what you get is the convenience of a nightstand, plus ample storage for out-of-season clothes. Those who not only survive but thrive in small bedrooms embrace the storage utility of walls. 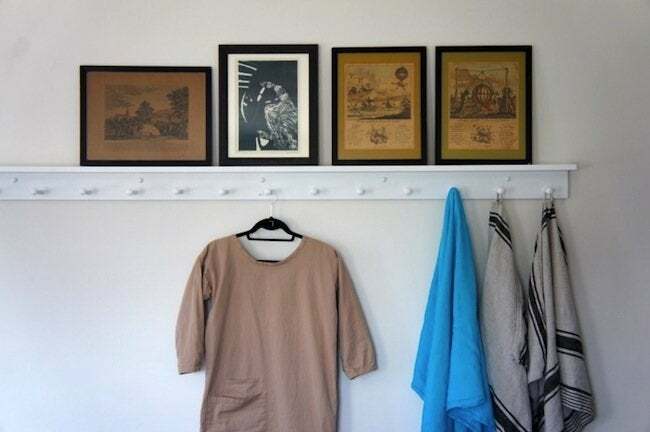 Unapologetically functional—and yet in their simplicity, stylish—Shaker-style peg rails are perfect for hanging jackets, hats, and even wet towels, while still leaving room below for a dresser, shelving unit, or storage bench. Think of the extent to which your walls are covered with hangings—posters, photographs, framed paintings. Now imagine devoting all of that space to storage. As satisfying as it is to eliminate clutter, it’d be a shame to go without decoration, no? 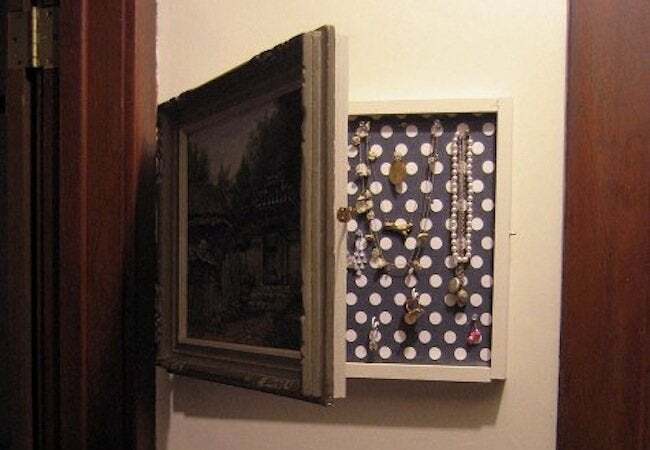 Enter this ingenious DIY, in which artwork (on a hinge) conceals a cabinet. Conserve floor space in a small bedroom by hanging furniture from the ceiling, as in the simple nightstand pictured here. Or apply the same philosophy in constructing a floating desk—one that mounts to the wall, leaving the space beneath it open. Indeed, the best small bedroom ideas deliver the functionality you want in a space-smart way.